Originally listed for 256,000?, recently reduced to 215,000?. South facing and situated in prime position in a quality development called Single Home, is this beautiful three bedroom apartment. The property is spacious and benefits from a south facing terrace that overlooks the pool, communal gardens and offers unspoiled views to the sea. There is parking and storage within the secure gated development and the property will be sold fully furnished. This is an excellent buy, just minutes? walk to the golf and local amenities. 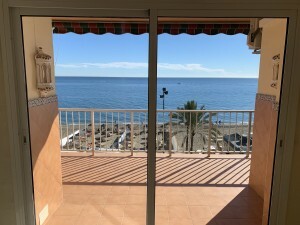 Whilst Fuengirola and the beach are just a short drive away. An excellent property for either holiday home, or would be a good investment commanding a great rental yield.